Not a week goes by without my 8-year-old daughter bringing up the “can I PLEASE have a dog” conversation. She would be a wonderful dog-mother and would absolutely love to have a little guy to love on and take care of, but sadly our work/life balance just won’t allow for it right now. In the meantime, we’ll just have to make our own four-legged friend! 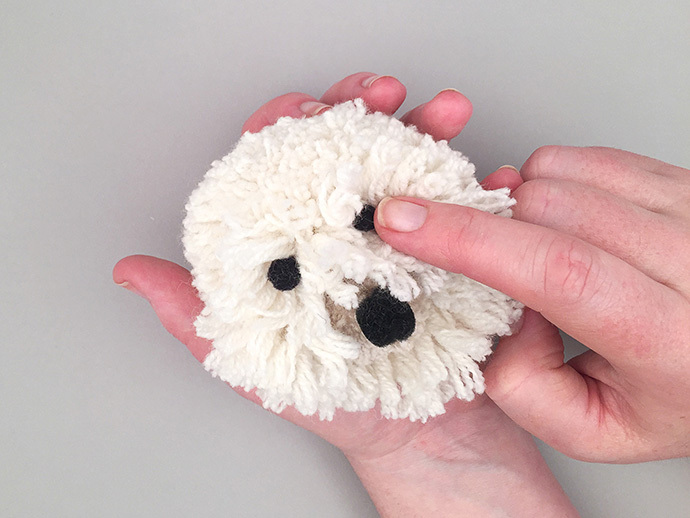 Allow me to introduce the newest member of our family – DIY Pom Pom Puppy! 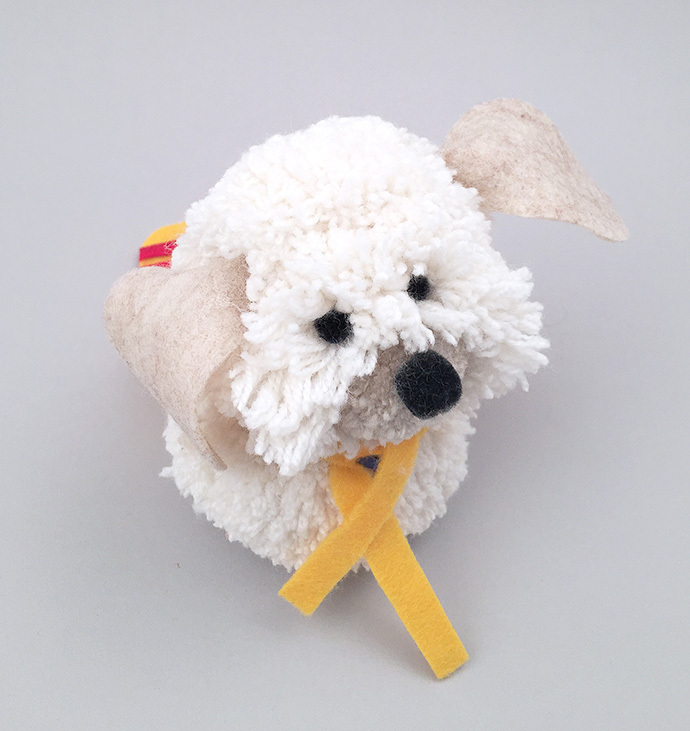 The best part about Pom Pom Pup is that you can dress him (or her) up however you please! We of course put ours in a cape, because everything is better in a cape, but you can really add anything to your little guy – buttons charms, ribbon leashes, even little handmade outfits! 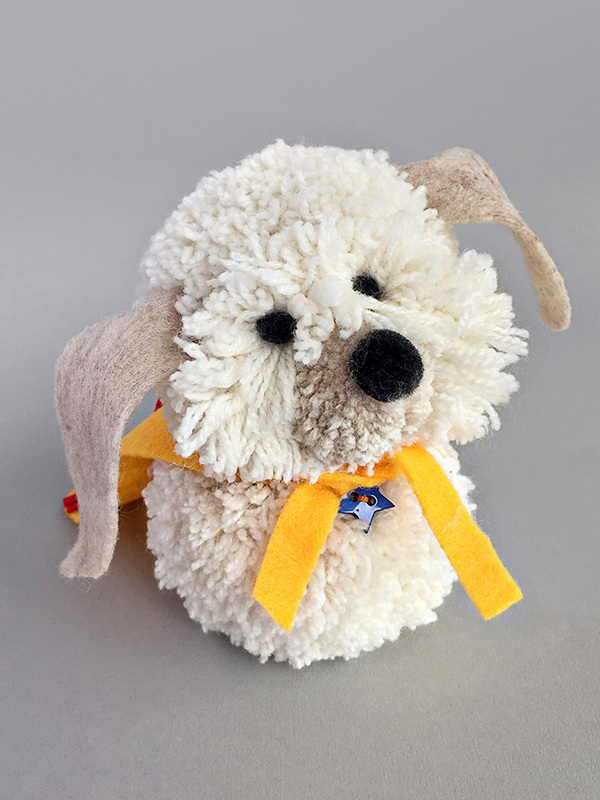 It requires very few materials and takes no time at all – Pom Pom Puppy is the easiest pet ever! 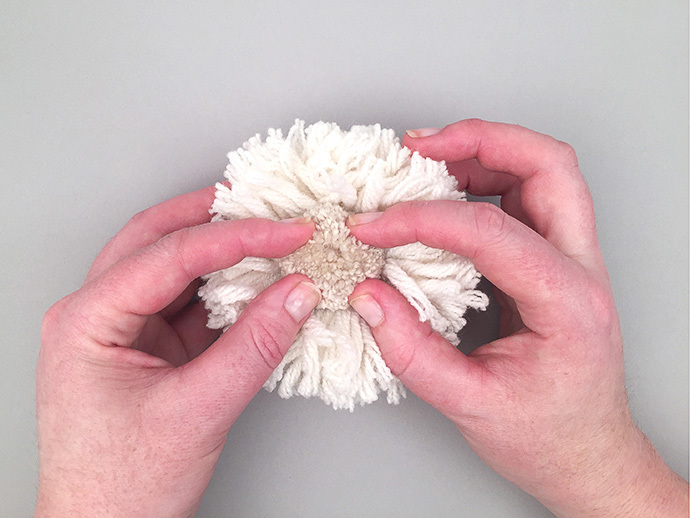 Select one of these and wrap a long piece of yarn around a generous portion of the pom pom to tie it off (this tied-off tuft will eventually be the face). 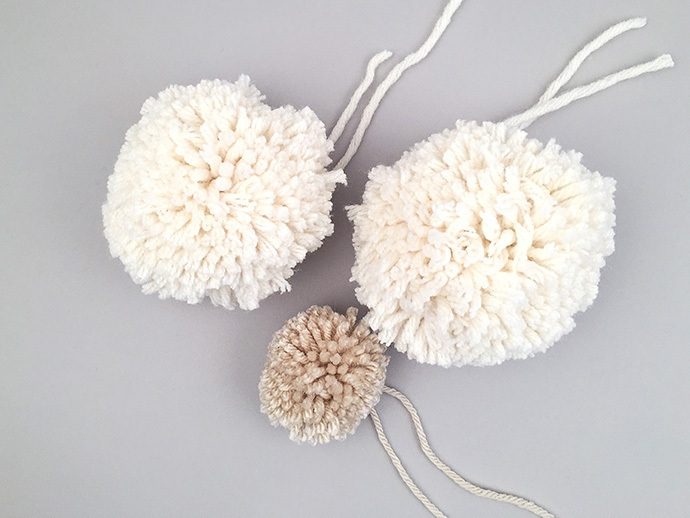 Trim the two other pom poms into nice, neat spheres. 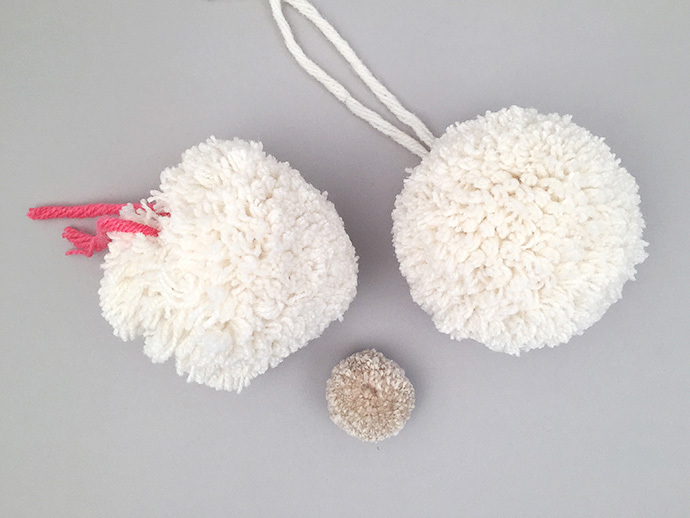 Leave the string on the “body” pom pom long (white in image above), as you will need this to tie the head and body pom poms together later on. Time to assemble! 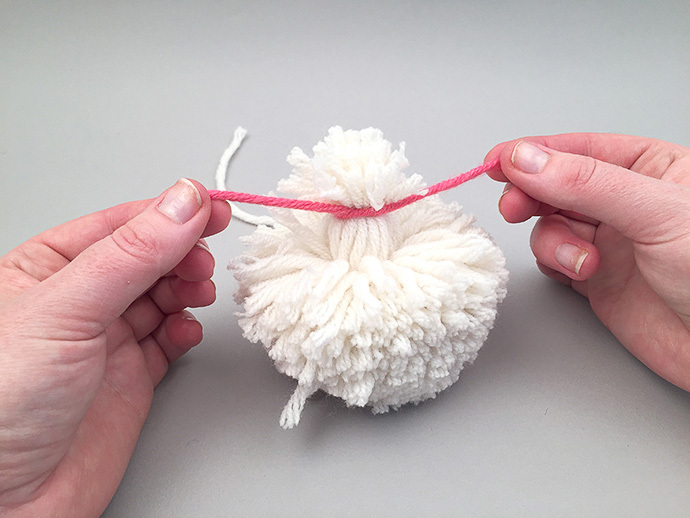 Start with the “head” pom pom (the one from Step #2). Remove the yarn you used to create the face (mine was pink) and spread out the long hairs of the tuft to create a deep hole in the middle. 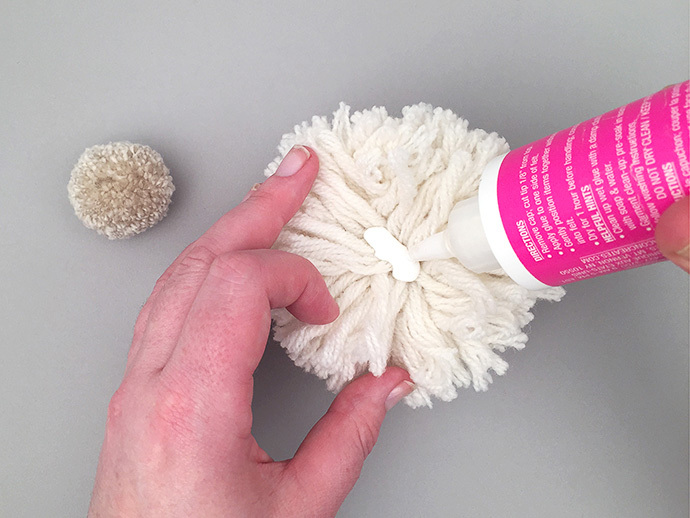 Squeeze some fabric glue into the very center of the tuft, then take your smaller pom pom and press and hold it into place. This will be your snout. Next, glue on the mini store-bought pom poms (mine were black) for the eyes and nose. 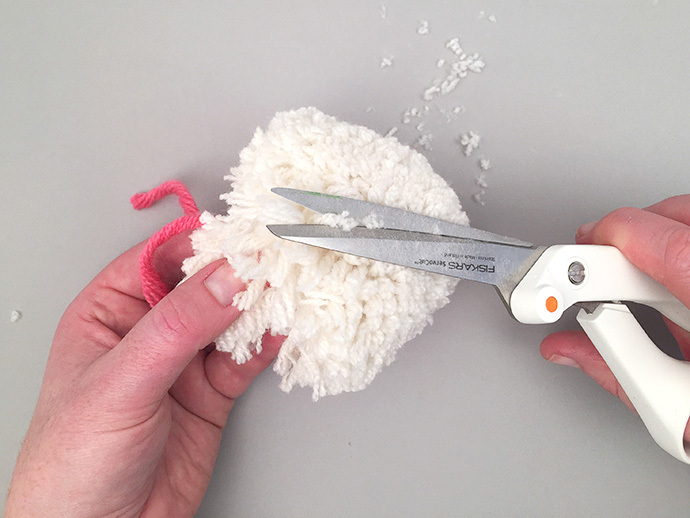 To do this, you will again separate a desired section of the pom pom, squeeze in a drop of glue, and hold the pom poms in place until the glue takes hold. 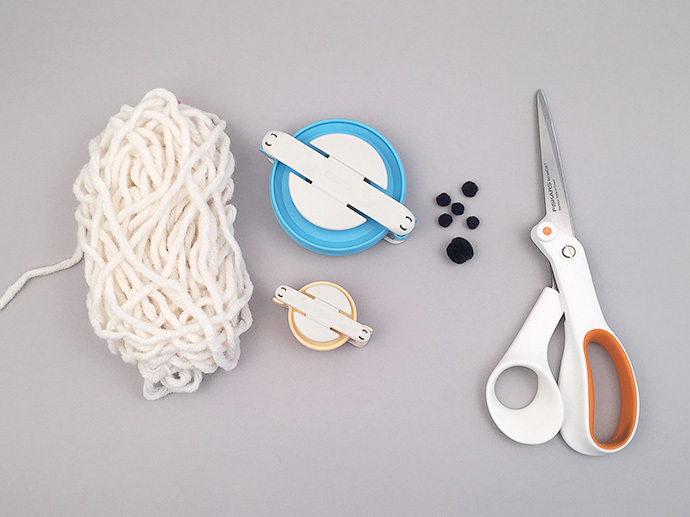 Tie the “head” and “body” pom poms together. You can also use glue to make sure they stay in place. Ok, now your puppy needs some floppy ears! 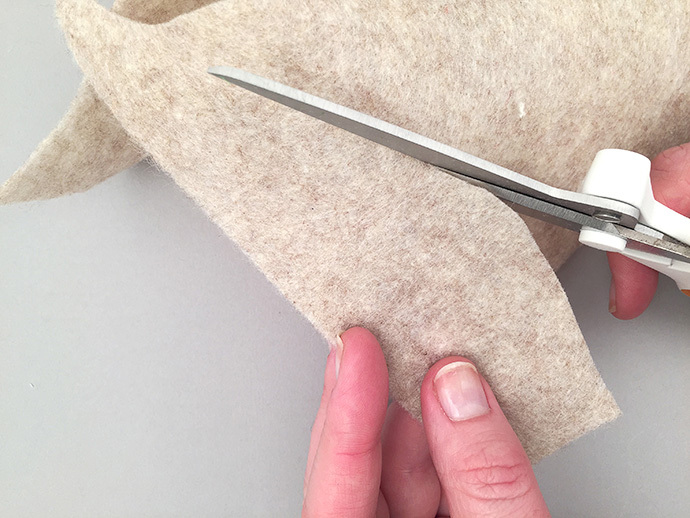 Grab your felt and cut out two ear-shaped pieces. 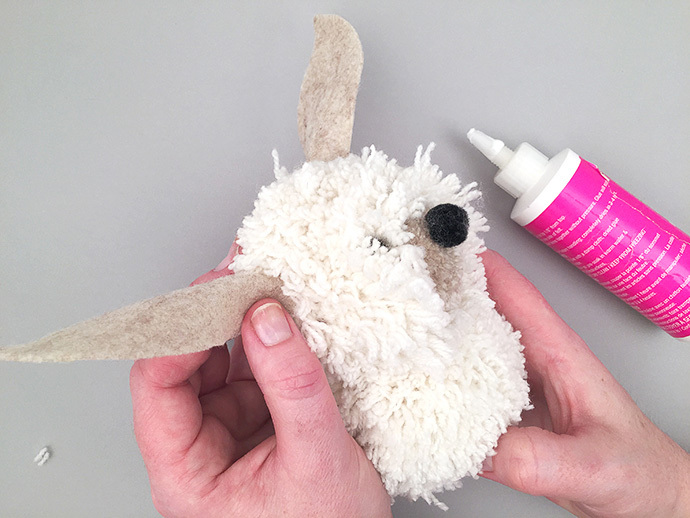 Again, separate the yarn on the pom pom, squeeze in the glue, and hold the ears to set in place. 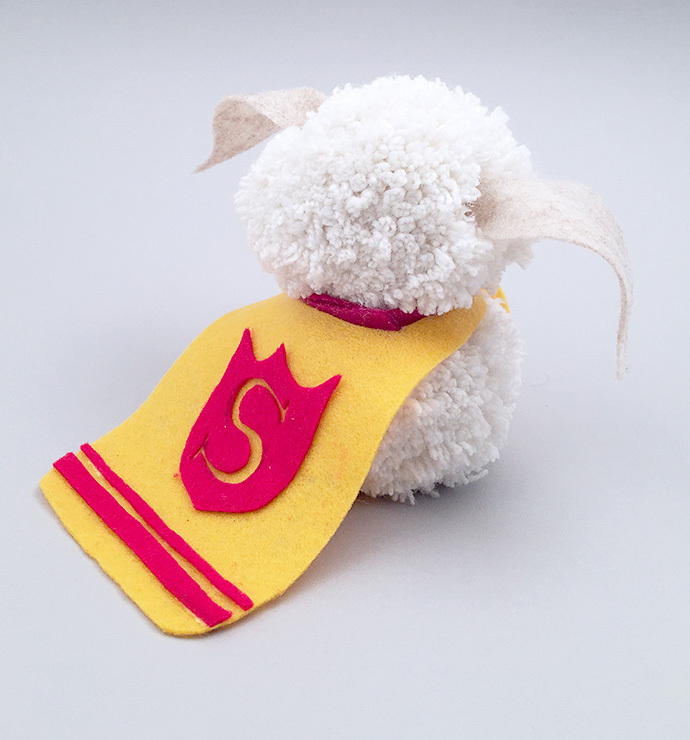 You can even add a little strip of felt and a button for a collar – or a cape for exciting Super Pup adventures! After all, even puppies like to dress up.